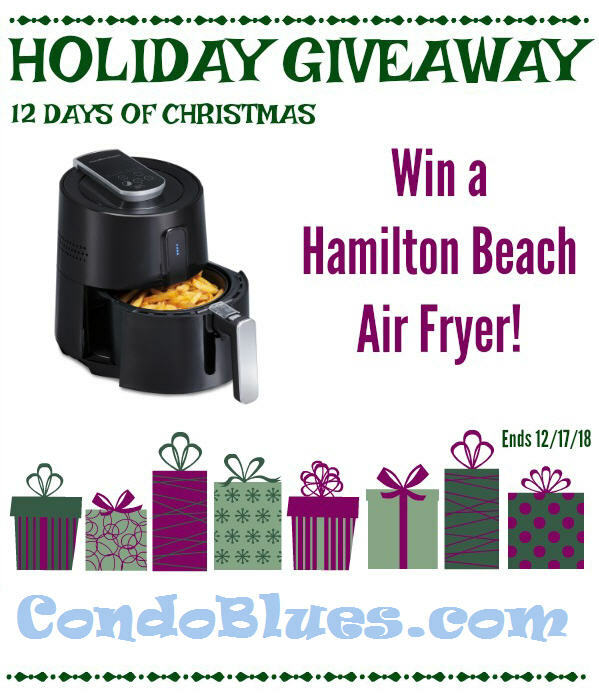 Condo Blues: Air Fryer Falafel Recipe and Hamilton Beach Giveaway! 1. Pulse the chickpeas, parsley, cilantro, onion,. 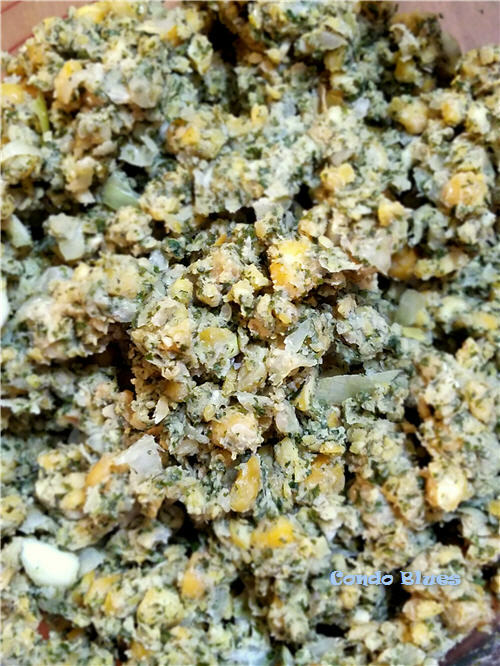 garlic, cumin, and salt in a food processor together. 2. 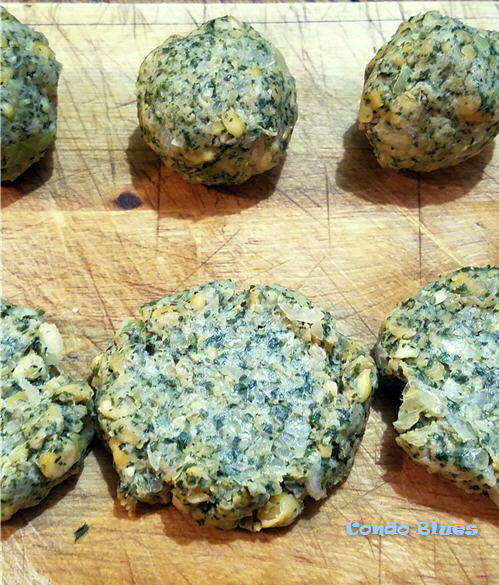 Roll approximately 2 tablespoons of the falafel mixture into a ball and flatten each ball with a the bottom of a glass. 3. 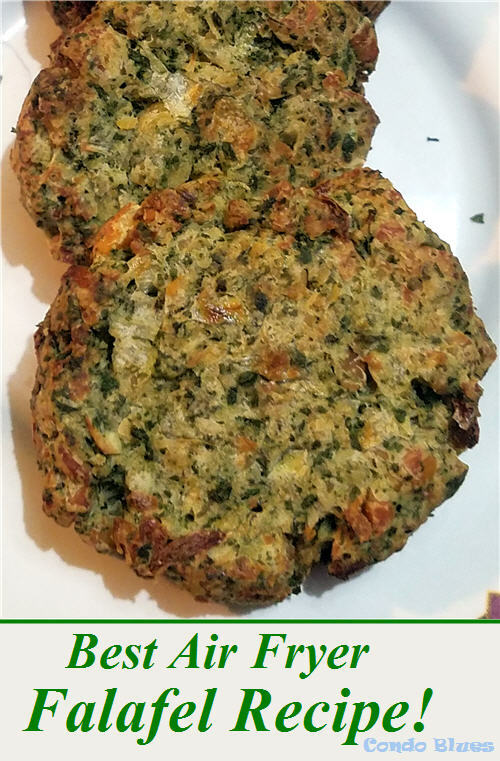 Put a layer of falafel patties in the airy fryer basket and lightly spray with the cooking oil of your choice. I use an olive oil sprayer like this one filled with olive oil although you can use whatever oil you like! 4. Put the air fryer basket into the air fryer and press the power button. Press the temperature button and use the minus button to set the temperature to 370 degrees. Press the timer button and use the plus and minus buttons to set the time to 12 minutes. Turn the falafel patties over halfway through the cooking time. 5. Serve with tzatziki sauce. Official Rules and Conditions: Official Rules and Conditions: One winner will receive a Hamilton Beach Air Fryer sponsored by Hamilton Beach. No cash value. Open worldwide to adults 18+. One (1) winner will be chosen. Prize must be claimed within 48 hours of announcement or a new winner will be drawn. Prize will be delivered electronically. All entries will be verified. Participating Bloggers not responsible for delivery of prize. This giveaway is in no way associated with Facebook, Pinterest, Twitter, Instagram, Rafflecopter, or any other entity unless otherwise specified. Giveaway ends 12/17/2018. Enter using the widget below.